"Where there is unity there is always victory." Did you have a rock star birth? Did you feel strong, capable, confident, and empowered? Did you feel afraid and alone? Did you feel tricked, manipulated, or coerced? Did you feel that you and your baby were at the center of the birth experience? Did you feel that you were the key decision-maker? Did you feel you were given information about the risks and benefits of doing or not doing something? Did you circumcise your son? Did you leave your son intact? Do you think birth is more than just one day? Did you have to fight to have the birth you desired, with the provider you chose, in the location you wanted? Did you breastfeed with ease? Did you choose to bottle-feed? Did you plan for an induction? Did you carry past 42 weeks? Did you schedule your cesarean? Did you have a VBAC? Did you have a TOLAC turned repeat cesarean? Did you think long and hard about who your care providers were going to be? Did you choose a care provider because that is who your insurance would cover? Are you a provider who feels overworked and underpaid trying to provide respectful evidence-based care? Did you answer yes to any of the above questions? Welcome. You are welcome here. You are wanted here. Whatever your story, whoever you are, whatever your reason; we are glad that you’re here. We firmly believe there is not one-size-fits all birth experience. In fact, we believe that the one-size-fits all attitude is how we got into this crazy messed up maternity care crisis in the first place. We are not here to tell you what you should do. And most of all we are NOT here to judge you for the choices you made - ever. We are here to support, love, and appreciate you for who you are and for the experiences you've had. You are welcome here. Your path and your journey is your own. We appreciate and honor you. Mother, father, sister, brother, aunt, uncle, neighbor, friend. We believe that if we are going to impact maternity care in this state (and beyond) we must stand together. If you're here I bet we can agree on this: moms and babies deserve better! That's our common ground folks - let's stand there. We must unify and not divide. We cannot walk alone. We are stronger together. There is a lot of talk these days about "the mommy wars." And although it's a bit cliche (okay, major cliche) I firmly believe that we can "all get along." We MUST, get past the notion of a war between women. When we share information about experiences and about what our science is telling us about birth and the primal period in life we are NOT judging you. Yes, how you give birth matters, for a multitude of reasons. Each of those reasons is as varied, just like the woman giving birth. However, know this: how you give birth does not equate with how you love. Never. Those are two different things. Often women feel that they are being judged or that their birth experiences (and their parenting choices) equate with how they love their children. All to often I'll hear a woman say, "but I'm not a bad mom because...." We're not talking about good or bad mothers here folks. We promise. This is a soul thing, mothering. Our feelings about being a "good enough" mother lie deep within us. These feelings about mothering reach to the very depths our being to places we didn't know existed. It's easy to see, and feel, how we might connect our experiences with our loving and our "good enough" status. Because these feel to us to be so deeply interwoven that we often struggle to separate them. However, please know we do not believe them to be the same. Here's the big questions I'm left with: Can we change the world without offending someone? Can we remove all value-laden and judgemental language and still have honest, necessary, and very real conversations about the state of things? I'd like to think so, but I'm an eternal optimist. My job here, at Iowa Birth Organization and on this journey through life, is to love you. Not to judge you. I'm not doing what I am doing here because I think any one of your was right, wrong, good, or bad in what you did when you gave birth to your babies. I'm here because I think our system, our culture, needs to change in how we treat women during their transition to motherhood. I think we are way off course and as a result we are all caught in the current (and may not even know it). When we say, "we can do better!" we don't mean that you were wrong. Nope. We mean that our culture CAN provide equal access to respectful evidenced-based maternity care. And will provide that if we (the consumers) require it of them. That's what we're after here. That's what we want to change - the culture - not you! We think you're great. We are not here to judge you friends. We are not at war with you. That is misguided and unproductive. There is no mommy war here. There is a great big love-in happening. We can do better. We can love more and judge less and then love some more. We can provide support through our listening. We can provide education about evidence-based care. We can stand up for those who have no access to this type care. 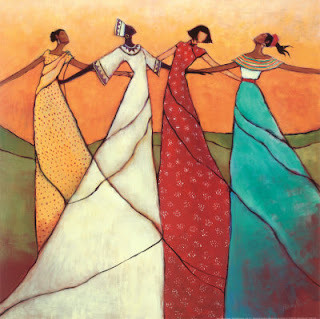 We can unite to make the world a better place for our mamas, their babies, their families (partners we don't forget about you in all of this), and our culture! It is my greatest hope that every child will come to this earth, and their first breaths be that of love, joy, and peace. Dear mommy friends, let's not fight. I am not at war with you and I never will be - that is my commitment to you.